The game adaptation of the film comes at a bit of a surprise to me - since Vice City is heavily based on Scarface (setting, cars, characters, clothes and even the mansion has the same colour scheme) the sense of deja vu would be overwhelming. If Vice City contained the actual characters from the film I suspect it would be difficult to tell them apart. Mind you, this is probably the first unpreventable "GTA clone" since Vice City is a clone of Scarface. 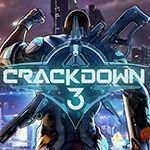 The game looks pretty much like your standard third person action game, but has received generally positive reviews all round. 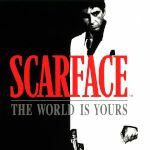 But the thing is Scarface is a film that came out 20 years ago, this game is cashing in on the film's new found popularity, this film holds a similar status to The Godfather among rappers and Vice City has in a way reintroduced the film to a new generation. I wouldn't necessarily call Vice City a clone of this film, it has borrowed a few things from it, but the game is also inspired by other 80s phenomenoms, such as Miami Vice, it is a homage to various things and woven themes and fashions together to create a colourful pastiche of an 80s crime story. Does anyone have this game, is it any good? Obviously not a complete clone, but you know what I mean. Nevertheless, Scarface was clearlyits biggest influence overall, along with perhaps Miami Vice. The "super cops" that show up in Cheetahs at a certain wanted level were a reference, for example. The team at Rockstar Games have admitted that the film that most inspired them while designing GTA3 and Vice City was Scarface, GTA3 even has some of the songs from the Scarface soundtrack on the in-game radio station Flashback FM. G-MANN wrote The team at Rockstar Games have admitted that the film that most inspired them while designing GTA3 and Vice City was Scarface, GTA3 even has some of the songs from the Scarface soundtrack on the in-game radio station Flashback FM. And the beach in Scarface looked pretty similar to that main road (by your place in the Red Light District) in Grand Theft Auto III. This game sounds mildly good, but does anyone know anything more about it? Does it hav free roam like in the Driver and Grand Theft Auto games? This might be the first GTA-clone I've seen without any taxicabs. 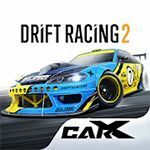 Is there any way to store cars in this game? If so, how many cars can you store? AMC_Pacer_Man wrote Is there any way to store cars in this game? If so, how many cars can you store? Yes, you can't store cars. But you can buy cars via phone. After the car was purchased, you can call your henchman, and he will deliver your car immediately to you. This is definitely a GTA clone, mostly relating to Vice City. There is a Garbage Truck and it's flatbed equivalent missing.This is not a GTA clone ,you haven't even played it,how would you know???? I think I will replay this game, after 8 months of abandonment in my game collection. VanMan629 wrote This is definitely a GTA clone, mostly relating to Vice City. Quite possibly the best game I have ever played! By the way, there is a 1972 Citreon DS in a cutscene at the begining of the game. A great game based on a great classic movie. The cars I posted were in the intro of the game. Which showed many parts of the movie. So I guess they don't count and I understand. And I do understand that IMCDB and IGCD are different websites and thought that those cars in the intro would count. But I apologize. what the island, Tony Montana go in the middle of game ? The game takes place in Miami, Bolivia, and a bunch of named islands that I forget what they're names are. Adding the stock Bandit ST, gang shag_van and gang caballo, along with a better pic for the trash truck. Added. Please, for the love of God, accept them. ._. I'll also be getting better pics for the rusted out Datsun 620(not a Hilux), the tanker, Bodog Stampede and Bentley. Let me guess, they've been accepted, but my browser is FUBAR and not showing them. Well, uh, the bad news is, that not every admin can approve pics. Only blue admins (IIRC) can (Rinspeed & SWF & co.). Well, I hope they get accepted, along with that one Flatout 2 pic. Also, fun fact. There is a LOT of unused vehicles. There's a Columbian gang Mojave, Shag Van, Speedboat, Nacho gang Macaro, Shag Van, Tony gang Macaro, Shag Van, GS Wolhabend and there's also a model file for a car called "Mullet". I'm going to either assume that's the AMC Gremlin's model file, or a Camaro lookalike. RF.....do you think the .P3D files could be opened? What project would that be? Alrighty, uploaded better pics for the rusted out Datsun 620(not a Hilux), the tanker, Bodog Stampede and Bentley, along with the Bacinari, exotics version of the Pumah, and the flatbed version of the Container truck. Still missing the DEA/SWAT van, and flatbed version of the garbage truck. How come the exotics Pumah was denied? It's a different car. Stripes, wheels, spoiler, performance. Nope, they're sitting in the files. I used Scarface Extractor. Added stripped Accord prop, stripped Mack tanker prop, beta Caballo prop and re-added the exotic catalog Pumah. Do we really need multiple pages for the same car? We got two GMC Vanduras, two El Caminos etc. Yes, they're different cars with different models/names. lcpdcv wrote Yes, they're different cars with different models/names. you hadnt understand that we dont accept same cars with just different colors. I had tell you a lot of times. Oh my god, it's not just different colors, it's asthetic differences/data differences. I can see that ElCaminos are almost exactly the same with different rims and exactly the same name. Where are your different names? Completely aware of your sarcasm, but lolno. The modifications on cars in SA are merely controlled by a .dat file. Sincerely, this game is, in one word, Superb. it's awesome. 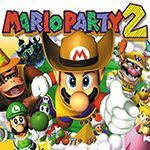 either can you just drive around, sail (due to a considerable number of boats, including a huge yacht),a separation between clean and dirty cash, awesome music, and you can even get the moves on a girl or two between the game. brawling your way into Miami's criminal underworld, you impersonate Tony Montana (O RLY?) after the mansion is razed by Alejandro Sosa's Private Army. with all his fronts lost and no money, Tony faces a Hard-Reset, and now will take his empire back, one bullet at a time. Why this game won't work on Windows 10???? uglyman323 wrote Why this game won't work on Windows 10??? ?